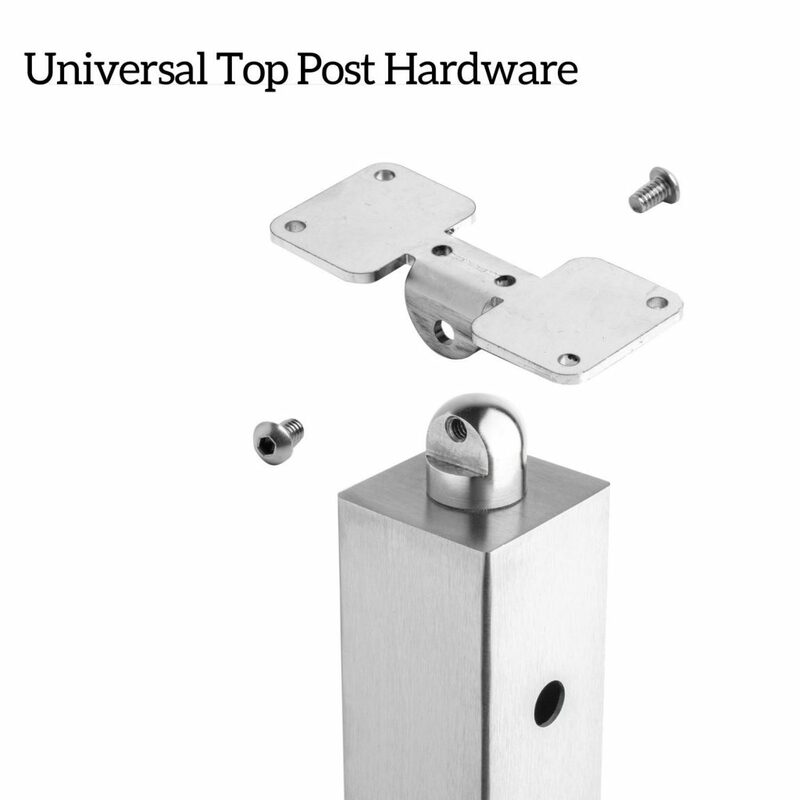 The above products are recommended for installation or mounting of the Angle Foot Universal Top 2" Square Post. 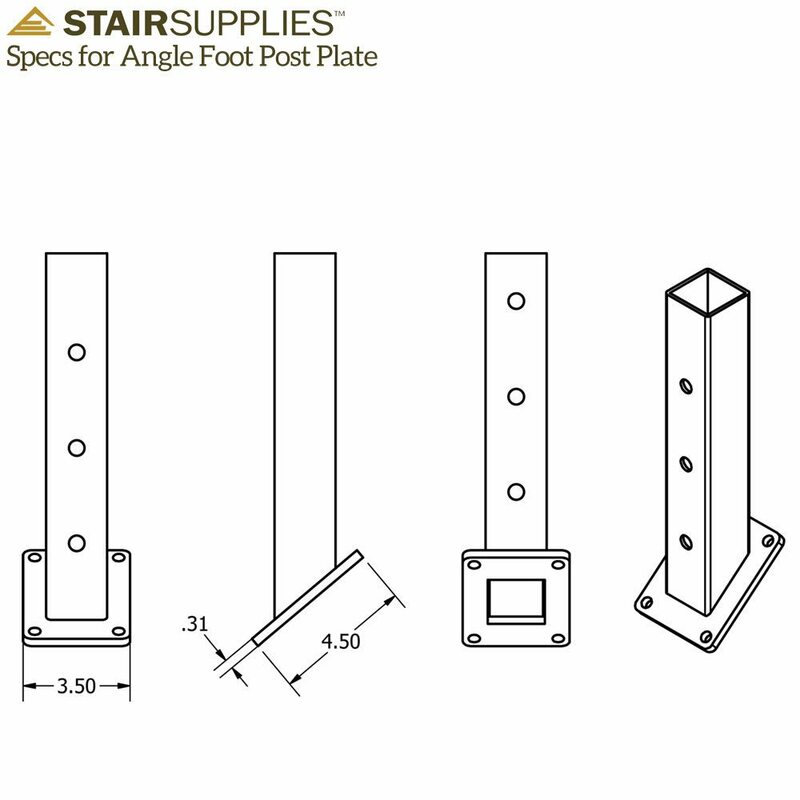 Angle Foot Universal Top 2″ Square Post are mounted to an angled knee wall. 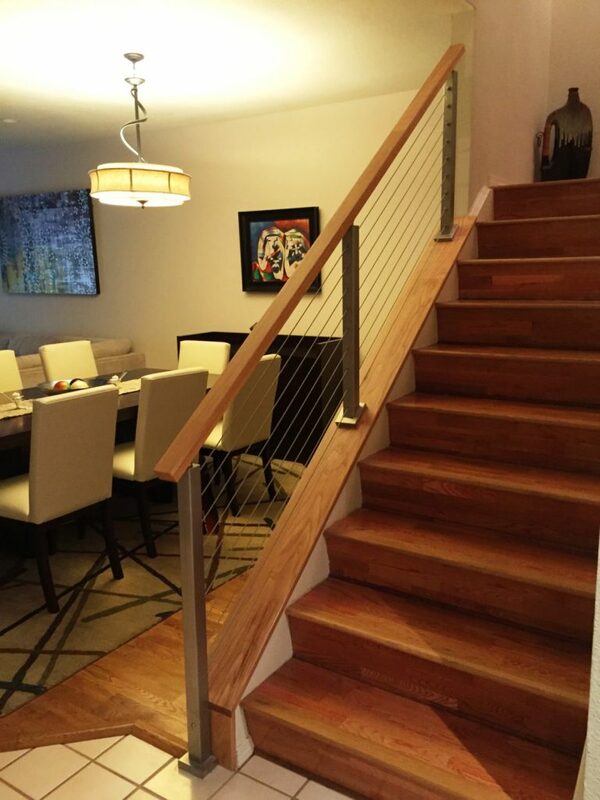 The post will be custom made based on the height of your knee wall, and the angle of your staircase. Please fill out this Angle Foot Post Specification Form, in order to ensure we manufacture your post correctly. 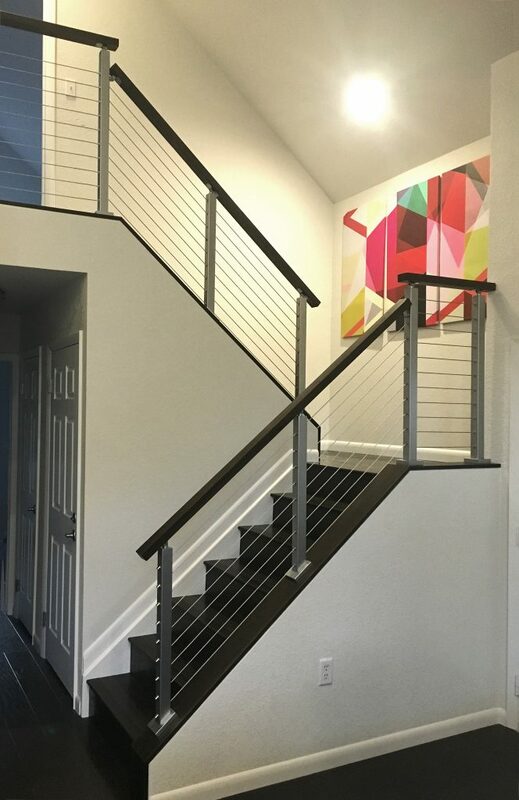 Posts are available in multiple material types (2205 Duplex Stainless Steel, 304 Stainless Steel, & Aluminum), and in multiple finishes (Brushed, Powder Coated Black, White, Pewter & Copper Vein). Guide to getting started with Viewrail. 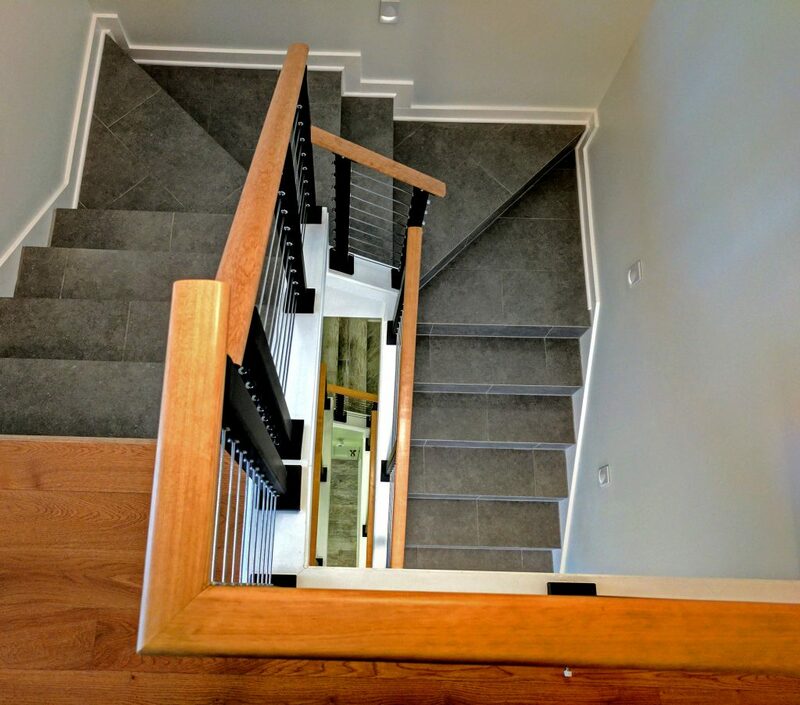 “B-5” – The “B-5″ post is designed to be an intermediate post on angled stair runs. It has 5/16” offset* holes drilled on both sides of the post. Recommended fittings: “Adhesive Sleeves” (quantity varies based on final height of post, typically 18). 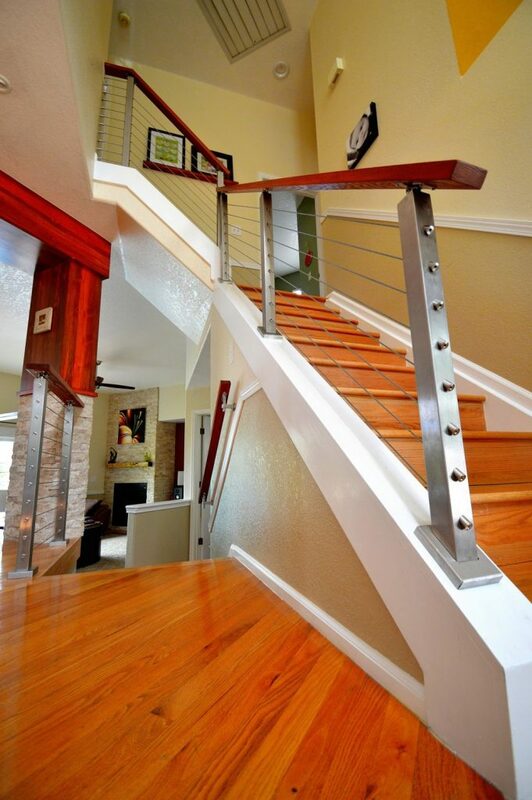 “J” – The “J” (up or down) post is designed to be a start post on angle stair runs. One side of the post has KeyMount holes drilled into it, the other three sides of the post are completely clean (pick this post for an extra clean look). Recommended fittings: “KeyMount Kits” (quantity varies based on final height of post, typically 9). *All offset holes will be drilled to match the angle of your kneewall. So please make sure to fill out the angle foot post form and submit it after placing your order. 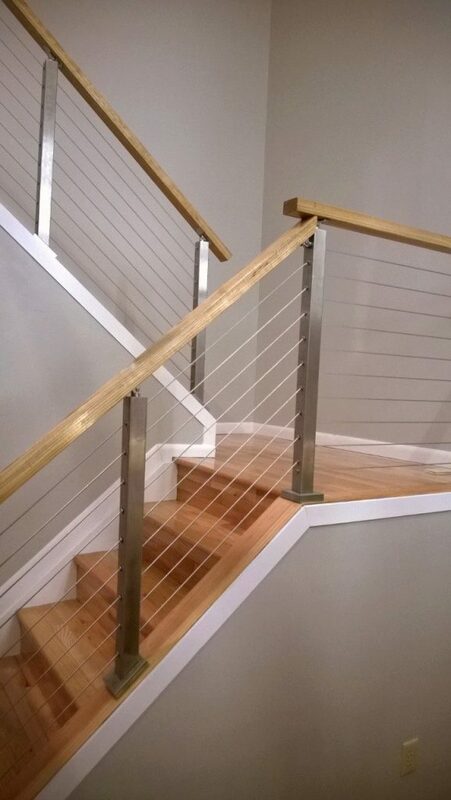 Stainless Steel posts complete the look with stainless steel cable. 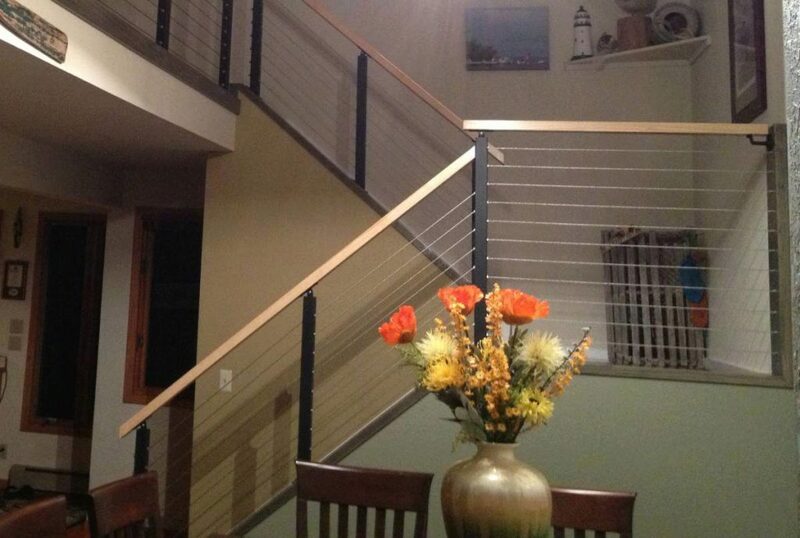 The posts are 2″ Square and they provide the foundation for a cable railing system. These you see are 304 Stainless steel which is the typical stainless used in the food industry. 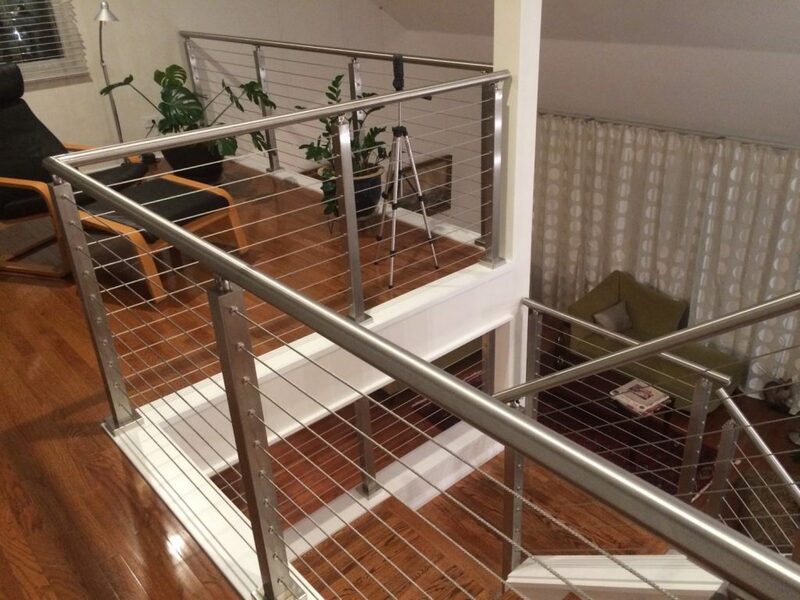 If you live in coastal regions you want to select the 316 stainless. 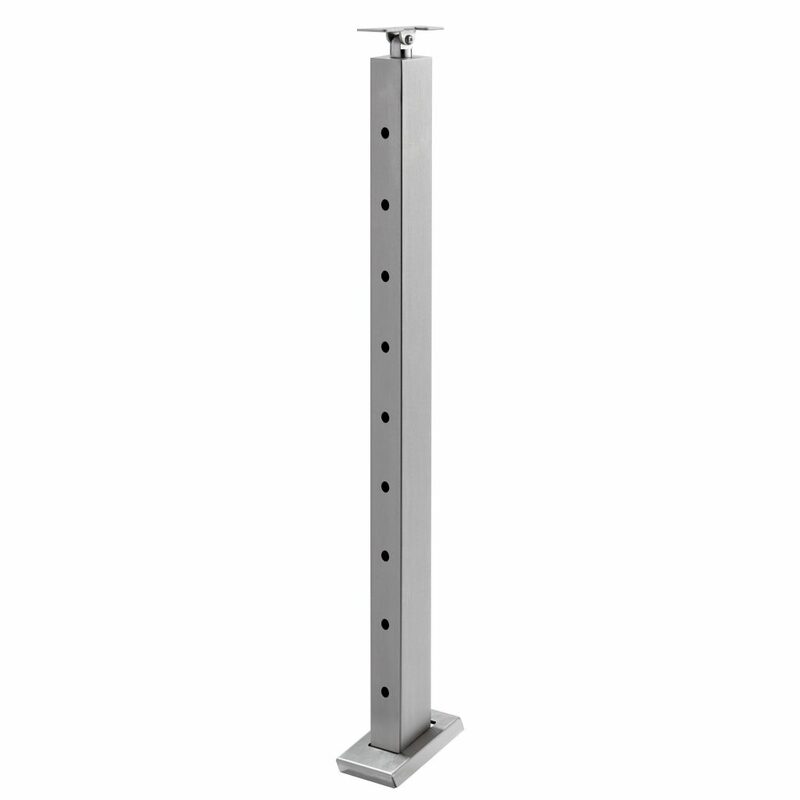 Posts are available with 1/2″ holes for standard fittings and with 5/16″ holes for use as intermediate posts where the cable passes through, but does not terminate. How long can you have cable before adding a new post? In other words, what is the recommended min/max expanse between posts? Thanks! 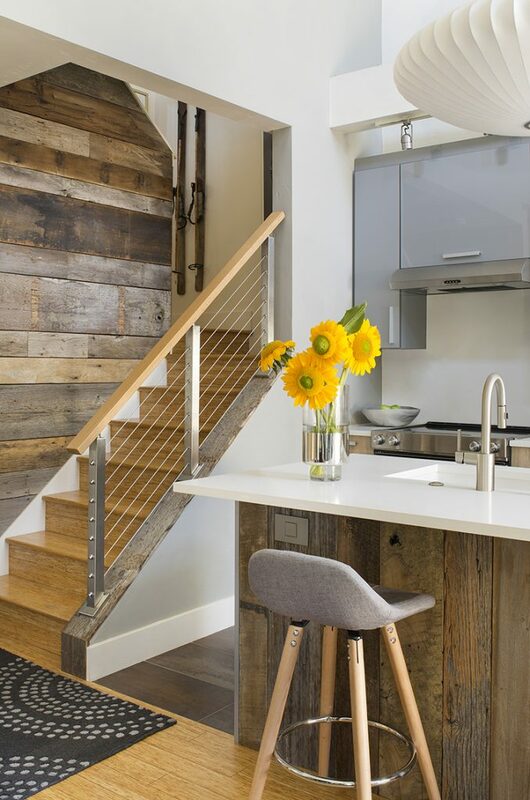 In order to meet code we recommend adding a post at least every 4 feet. This will ensure that your cables can not be expanded beyond the common 4″ sphere rule. What are the complete size specs of this post? 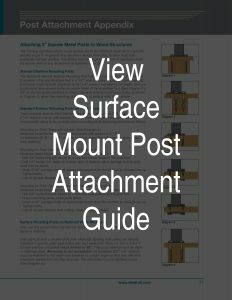 More specifically what are the dimensions of the bottom mounting square? Thank you. 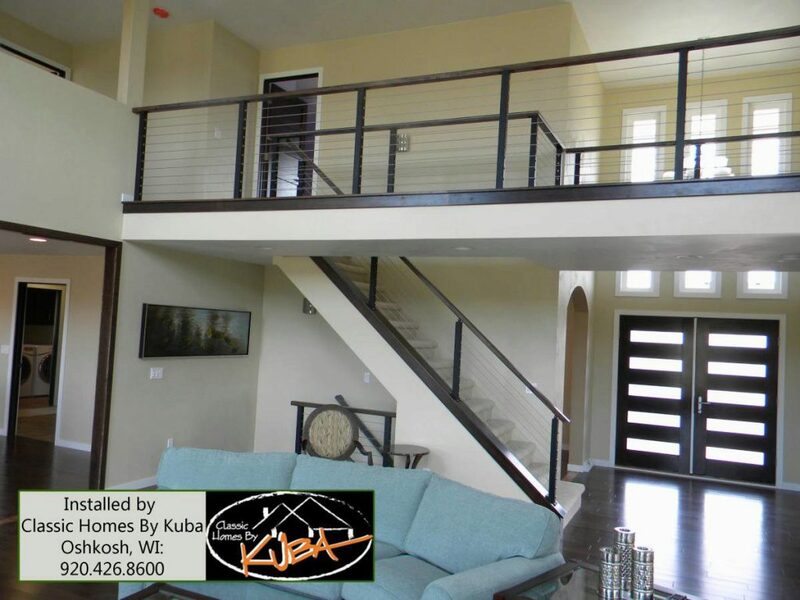 The post is 2″ x 2″ square, the height and number of holes vary depending on your specific height & angle of your kneewall. The foot (mounting plate), is 3 1/2″ wide x 4 1/2″ deep. 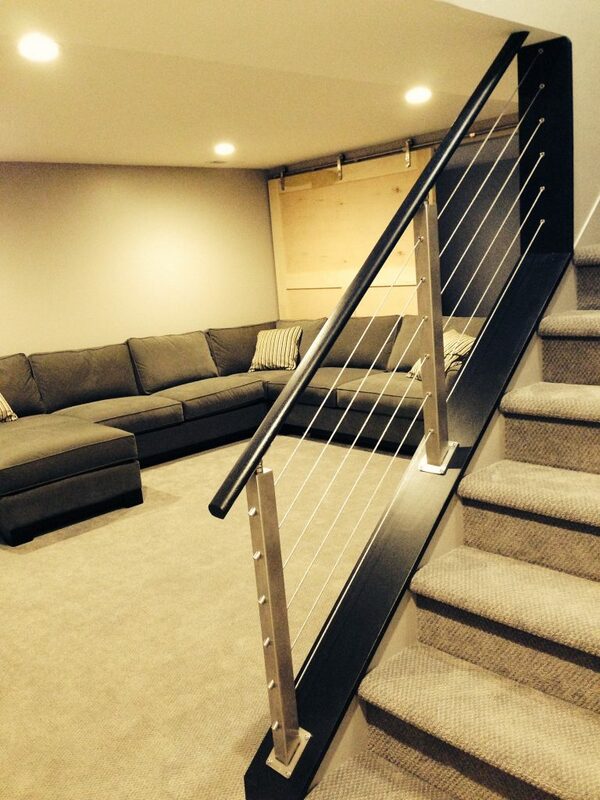 “J” up is designed to go at the bottom of your stairs, “J” down is designed to go at the top of the stairs. You can’t go from “J” post to “J” post you can start with a “J” post, but you have to end on a “B” post. Why can’t I order an “I” post? 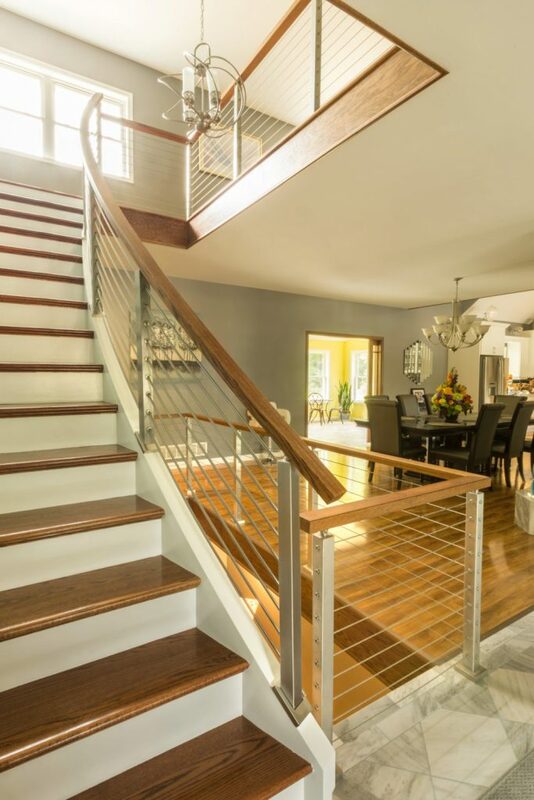 I have a small “L” shape at top of stairs, I want to start there with an “F” then go to an “I” that will begin my descent down the stairs. After 4-5 “B” can I end it with a “J-up”? All of which is a moot point if I cannot order an “I” post. Thank you for asking, Sandy. It is likely that you would need to select a “D” post instead, because an “I” post is not available in 36″. 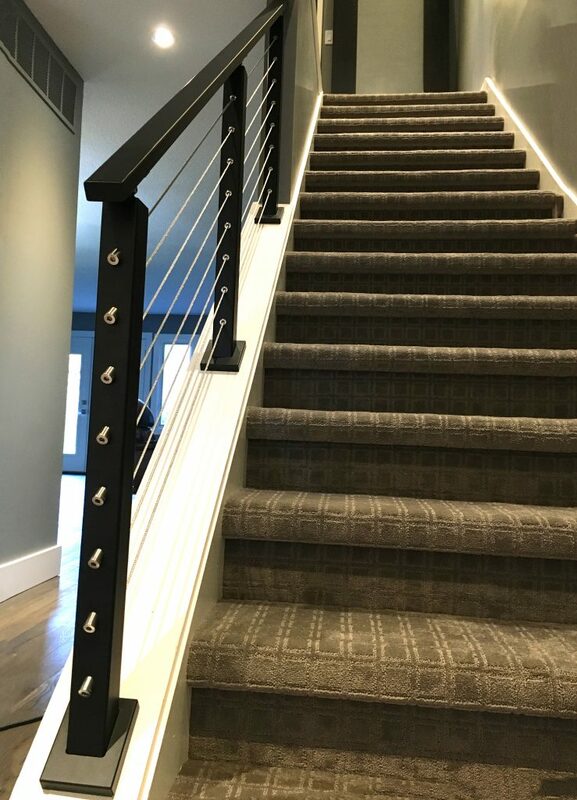 The only limitation to the “D” post is that you cannot use a metal handrail due to the lack of space for a postside handrail bracket. 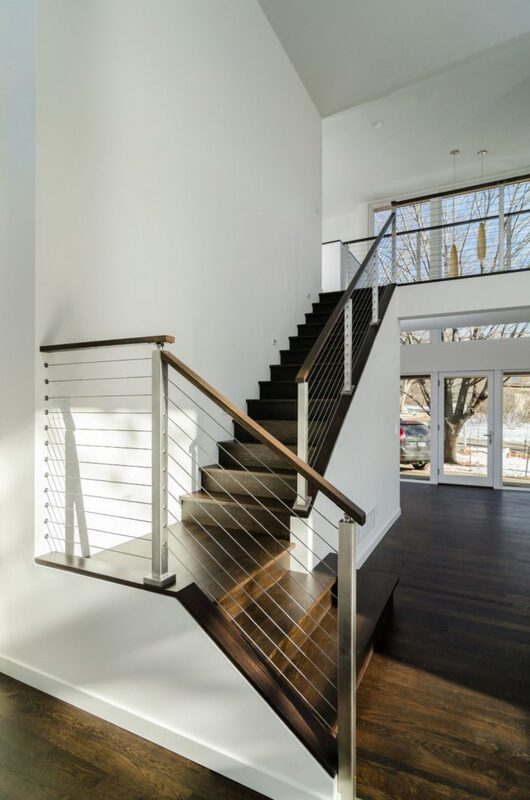 If you prefer the metal handrail, then we suggest that you switch to a 39″ post system. This would then allow you to select an “I” post and metal handrail option. 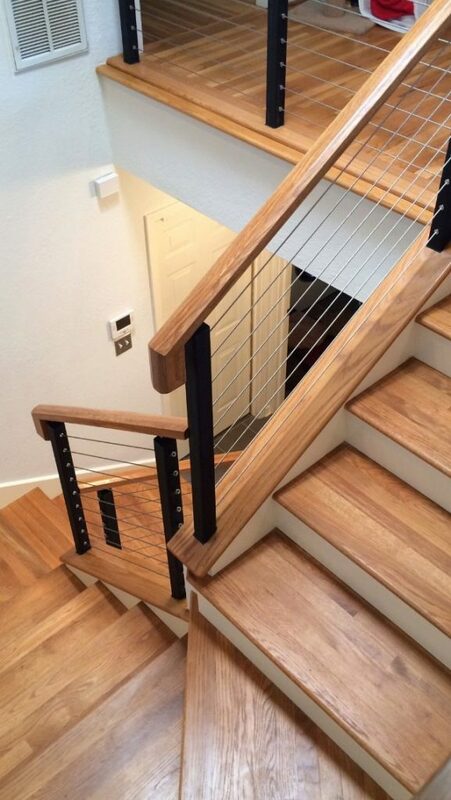 If you need any further assistance, you can also contact us directly at orders@stairsupplies.com. 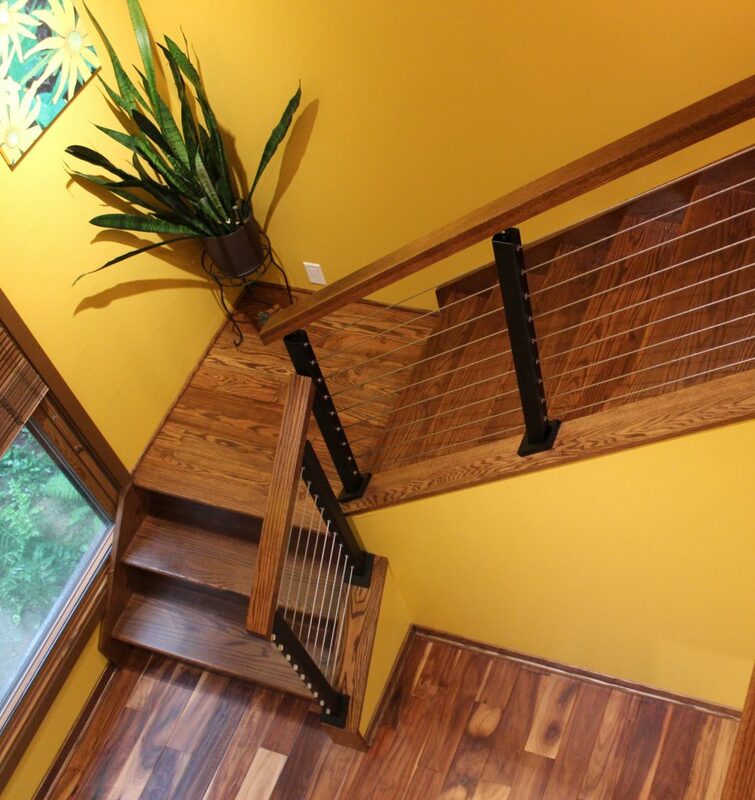 We would be more than happy to assist you in designing or reviewing your Viewrail project. When I place an order, how do I submit the form with the dimension (height and angle) of the posts that I need? Thank you, Shui. 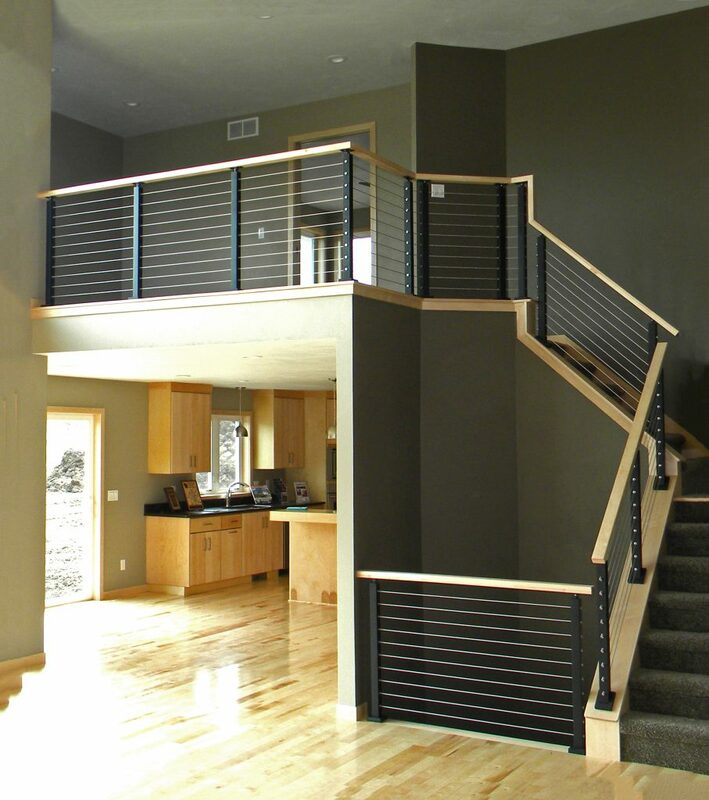 You can send this form to orders@stairsupplies.com. what is the wall thickness of these posts?? thanks. 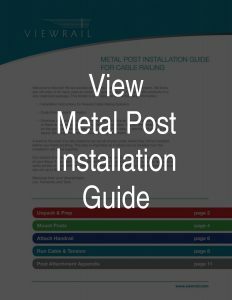 Are the powder coated posts suitable for exterior areas near the ocean? For an exterior application, we recommend a fluoropolymer finish for your posts. 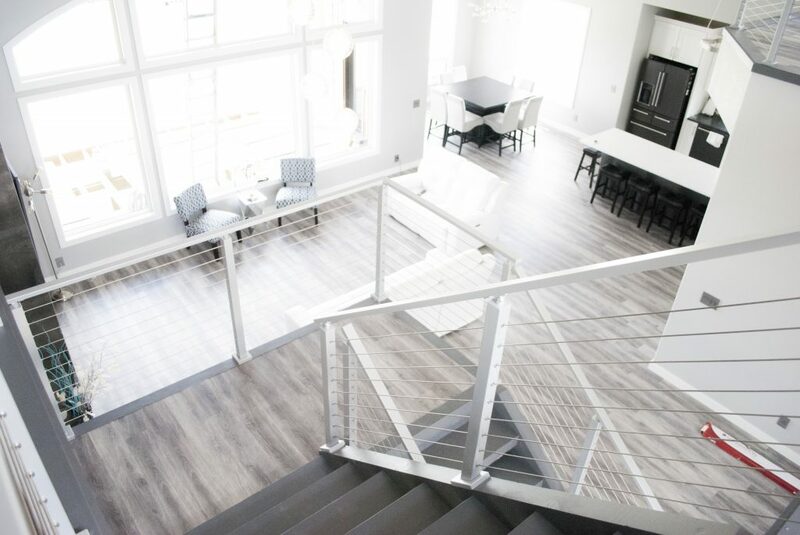 If you have additional questions about product performance, please give us a call at 1 (866) 226-6536. Does the angled post come in a standard angle or is it per order fitment? Same with height? I have a knee wall installation so only need 2 posts (40 degrees). Thanks for the question Vito. 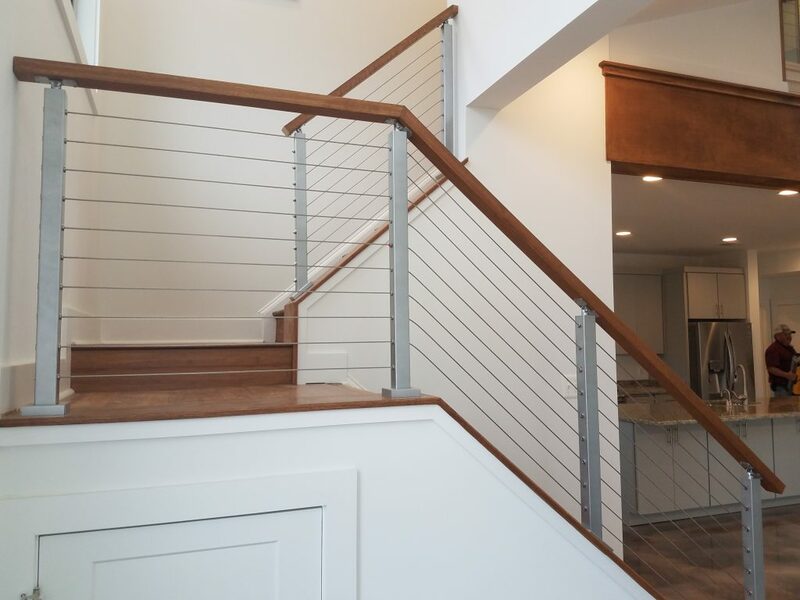 The post will be custom made based on the height of your knee wall, and the angle of your staircase. If you look further down the product page, you’ll see an Angle Foot Post Specification Form, that you can use to ensure we manufacture the posts to your exact specifications.